Mormon blogger Mette Ivie Harrison posted an intriguing article on August 23rd at Huffington Post. She titled it, “Do Mormons Worship Joseph Smith?” In the article Ms. Harrison expressed her dismay that some non-Mormons might misunderstand the way modern Mormons feel about the faith’s first prophet and wrongly conclude that Mormons worship Joseph Smith. Even so, it’s worth noting that many of the points Ms. Harrison uses to humanize the Prophet—and thereby demonstrate why Mormons do not worship him or place him on the same level as Jesus Christ—contradict LDS scripture and teachings of LDS leaders. For example, Ms. Harrison says it is Christ who is head of the Mormon Church; LDS scripture says that Joseph is “at the head of the church” (D&C 28:6). Ms. Harrison rightly says Joseph could not provide Atonement for the sins of men and women, yet according to LDS leaders he is an integral part of a person’s salvation. In 1966 Mormon Apostle Bruce McConkie said that there would be no salvation if it had not been for Joseph Smith. The man who became the tenth LDS President, Joseph Fielding Smith, taught that one must accept Joseph Smith in order to enter the kingdom of God, and early Mormon prophet Brigham Young claimed that no man or woman will ever enter the “mansion where God and Christ are” without the “consent” and “certificate of Joseph Smith” as their “passport” (respectively, Mormon Doctrine, 670; Doctrines of Salvation, 1:189-90; Journal of Discourses 7:289). 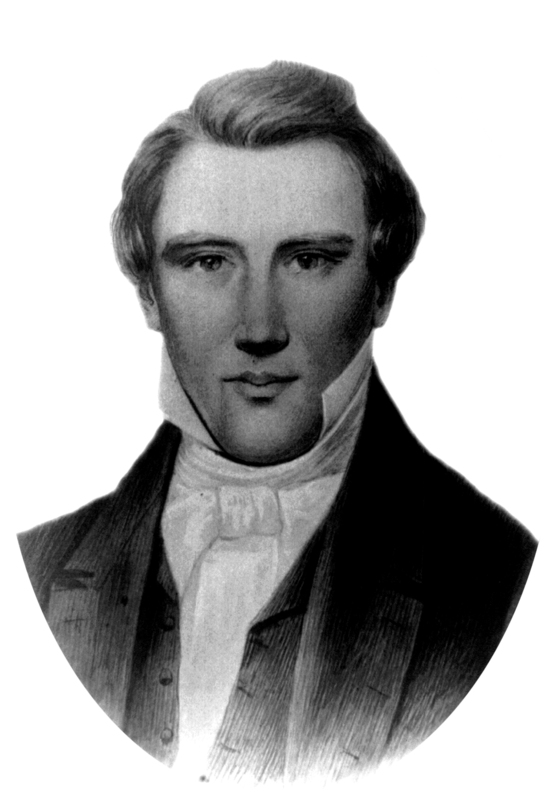 Ms. Harrison points out that Joseph Smith does not have the capacity to resurrect others from the dead, while Brigham Young taught that Joseph “will stand at the head of the resurrection in this last dispensation” and, holding the keys of resurrection, “will seal this authority on others” who will find their friends and resurrect them (Discourses of Brigham Young, 116). Ms. Harrison affirms that Mormons do not place Joseph Smith on the same level as Jesus Christ, yet in 1922 an LDS Church lesson taught that there are at least nine parallels between the lives of Joseph Smith and Jesus Christ. After listing them side-by-side, the lesson concluded, “Who shall doubt the divine mission of these Saviours of mankind?” (Weber Stake Ward Teachers’ Lesson, January 1922). Sometimes, in Mormonism, the honor and glory and reverence and love that belong to Jesus alone is misdirected to Joseph Smith. How this must grieve the Spirit of God! The Bible teaches that Jesus is the foundation and head of His church; salvation is in Christ alone; and the LORD is the only savior (respectively, 1 Corinthians 3:11; Colossians 1:18; Acts 4:12; Isaiah 43:11). Joseph Smith will not get anyone into heaven, but false worship or adoration of him – that is, giving Joseph Smith the honor, glory, love, and trust that belong to Christ alone – will keep people out (see Exodus 34:14; Ezekiel 14:6-8; 1 Corinthians 10:14; see also “The Truth About Idolatry”). Check yourselves, Mormon friends. God insists, “You shall love the LORD your God with all your heart and with all your soul and with all your might” (Deuteronomy 6:4). The near-deification of Joseph Smith could be your eternal undoing.